Not just designed to accept wider tyres, but designed specifically for wider tyres by default. And the drivetrain - well, you'll be fitting a single front chainring. 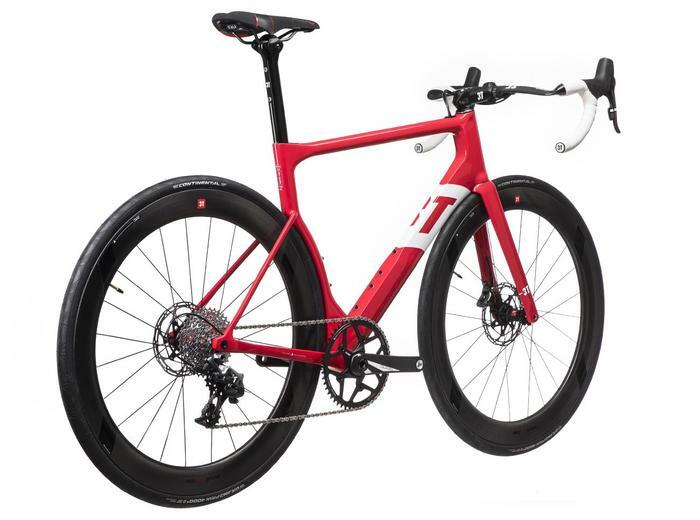 Improved mechanical (and riding) simplicity, and more aero too. 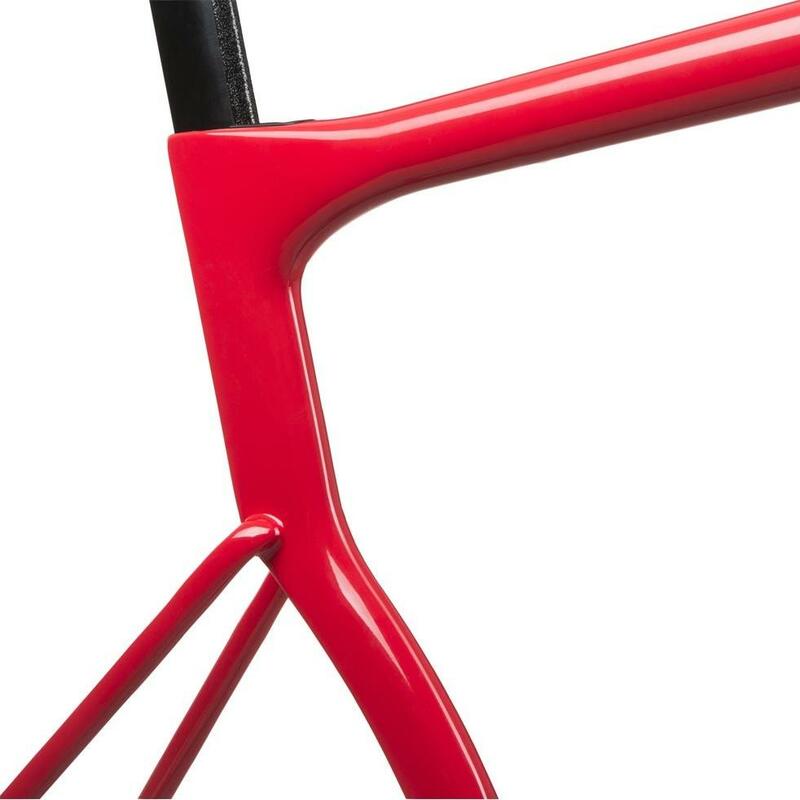 Every last detail has been carefully considered, and this truly stunning bike is packed with practical, innovative solutions to familiar problems. DA: What's the real key benefit of a 1x drivetrain? GV: The aerodynamics, the ease of setting up the bike, the cost of componentry, but okay that's no so evident in our first attempt at it, but I think really at the lower end that's where the real advantage comes in. 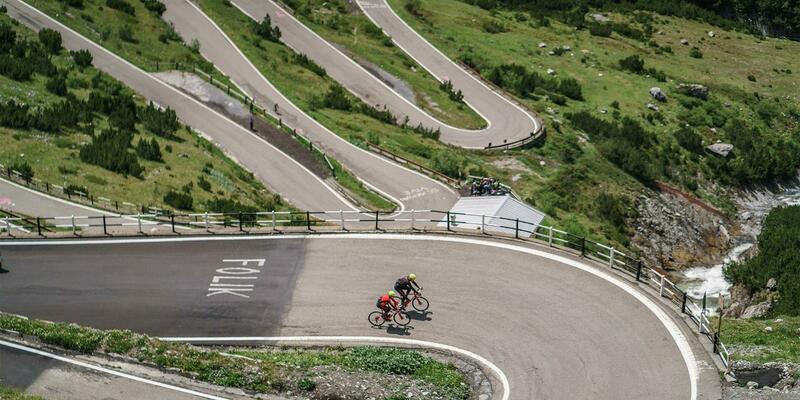 Your bike just gets 10% cheaper, so that's a big advantage. Also, the biggest fear for people getting into cycling is the shifting, and the industry has done a terrible job of it. It's ridiculous right. The left is different from the right, they work in opposite ways. And so this takes that fear out of it. And if it looks better. That's where the real advantage comes. DA: What would you say to traditional roadies that are reluctant to embrace 1x? Is 1x really the future? GV: Traditional road cyclists get cut by disc brakes that weren't even the road, you know. I guess in a way that's how it's always been. Name me one innovation that traditional roadies complained about and that then didn't become mainstream? Deep section wheels. 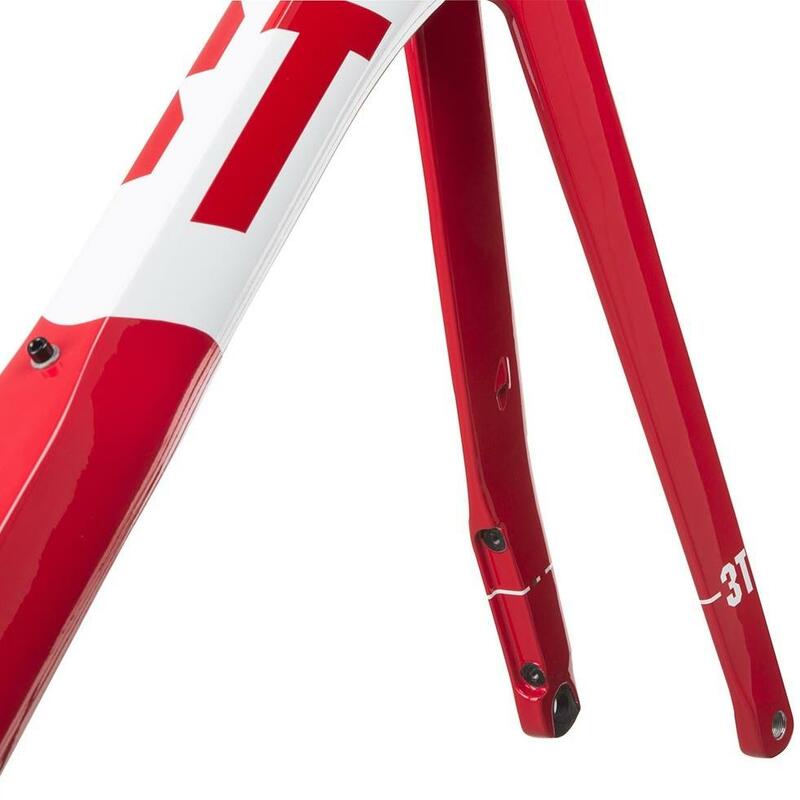 When we (3T) started sponsoring CSC in 2003 Zipp were the first ones to really have a deep section wheel, and in 2013 there were still pros riding box section alloy wheels, but after 10 years finally everyone got it. 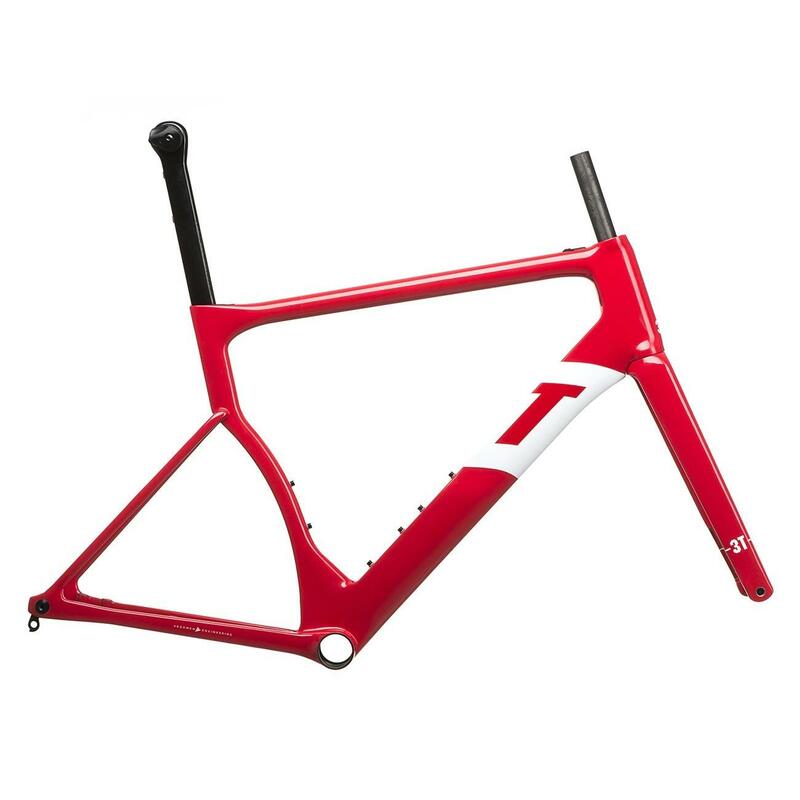 The same with aero frames, that took even longer. But now every brand expect Cannondale has them. And Cannondale is not exactly a traditional brand either. 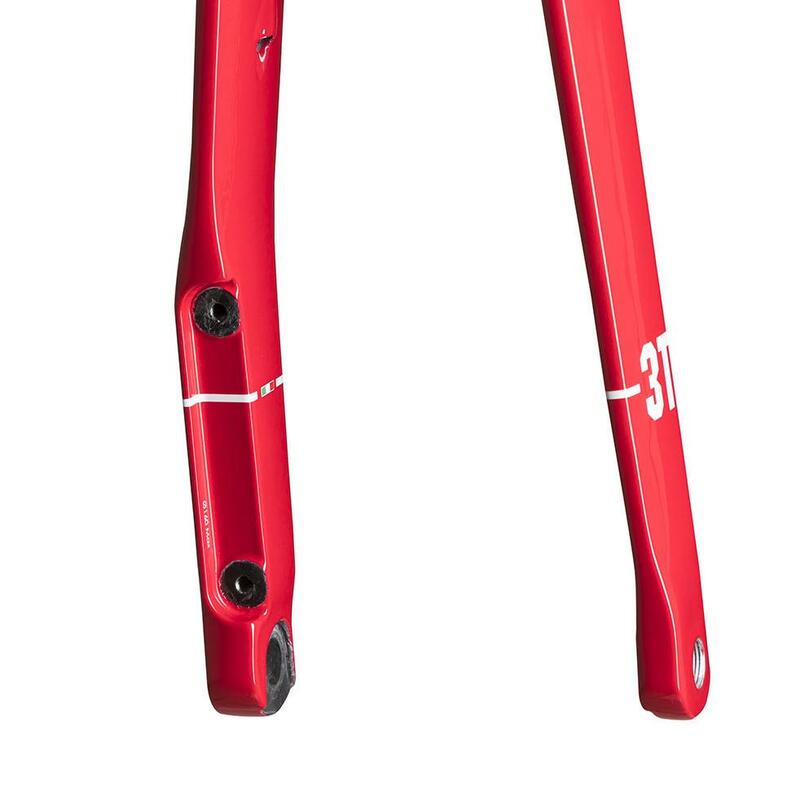 It's not like I think rim brakes don't have a place in this world and that everything has to have disc brakes, I just think if you're a bike designer you should make a decision on what you think your customer needs and stick with that, not me. "Oh this frame comes with rim and disc brake versions and therefore everything's a compromise!" 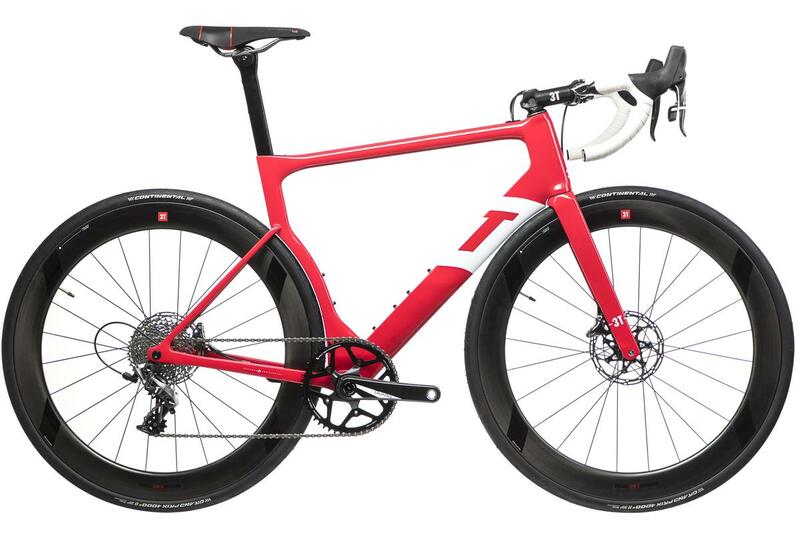 So I think for disc brakes and for 1x, in five years, even the traditionalists will laugh at how anti they were, this year. DA: The bike is designed around wider 28mm tyres? GV: The most important part of the bike is the tyre, the bike is designed around 28mm tyres. Tyres are getting wider and wider, wider tyres are a good thing for comfort so they are here to stay. So everything is designed around the tyre. The gaps are tight but they are designed around this tyre. 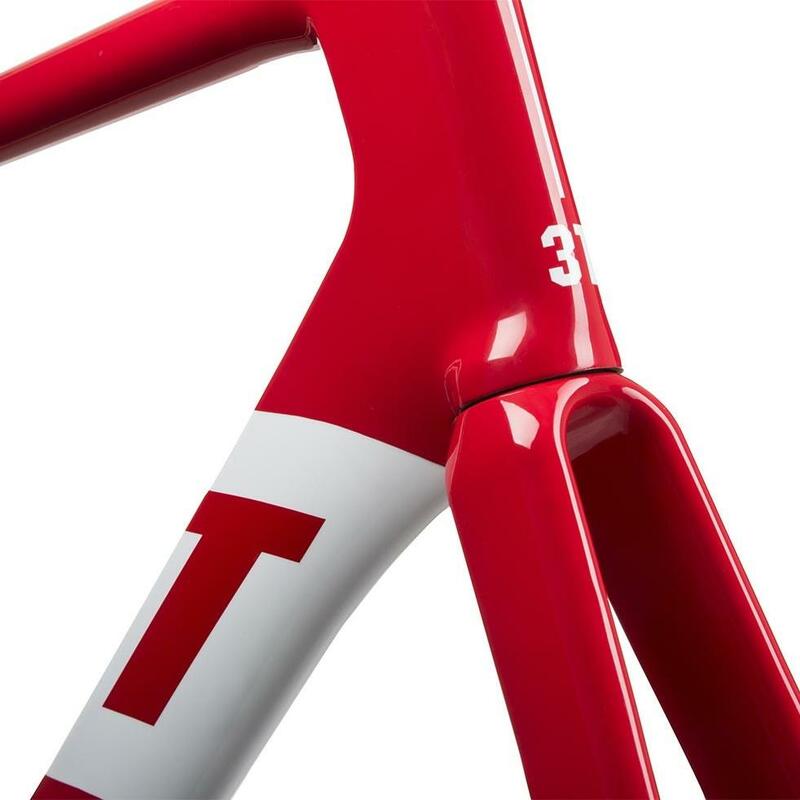 You see these tight clearances on a time trial bike, and it helps to keep the airflow attached from the front wheel to the frame to the rear wheel. 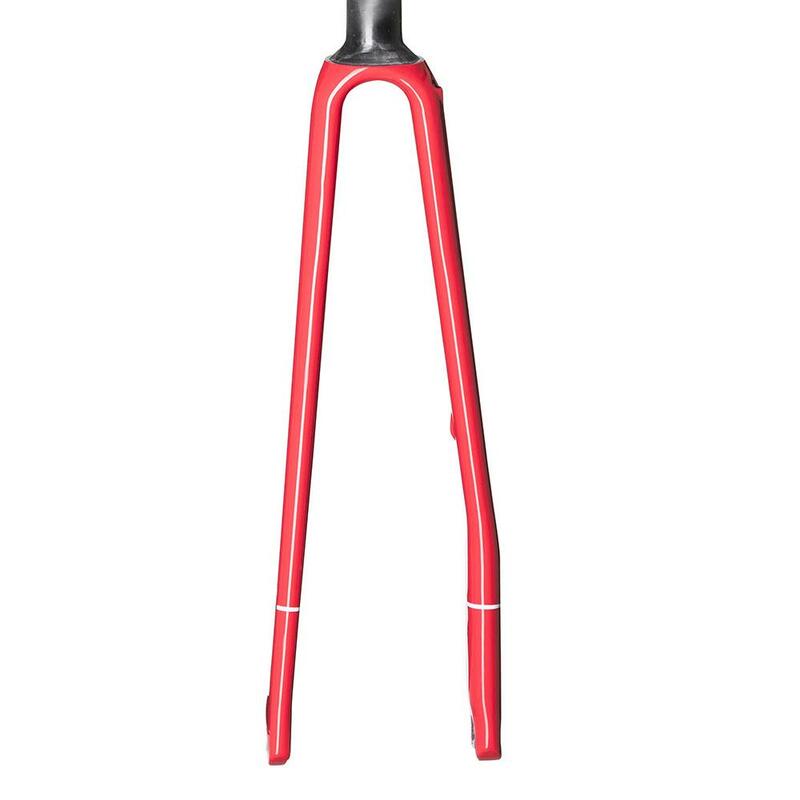 Frame, fork, headset, seatpost, seatpost internal clamp, front and rear thru axle, 2 rear derailleur hangers, noise-cancelling foam sleeve for rear derailleur housing and brake hose. At Bespoke we're all about achieving the perfect fit. Not sure what size you need? Book a bike fit with us first. 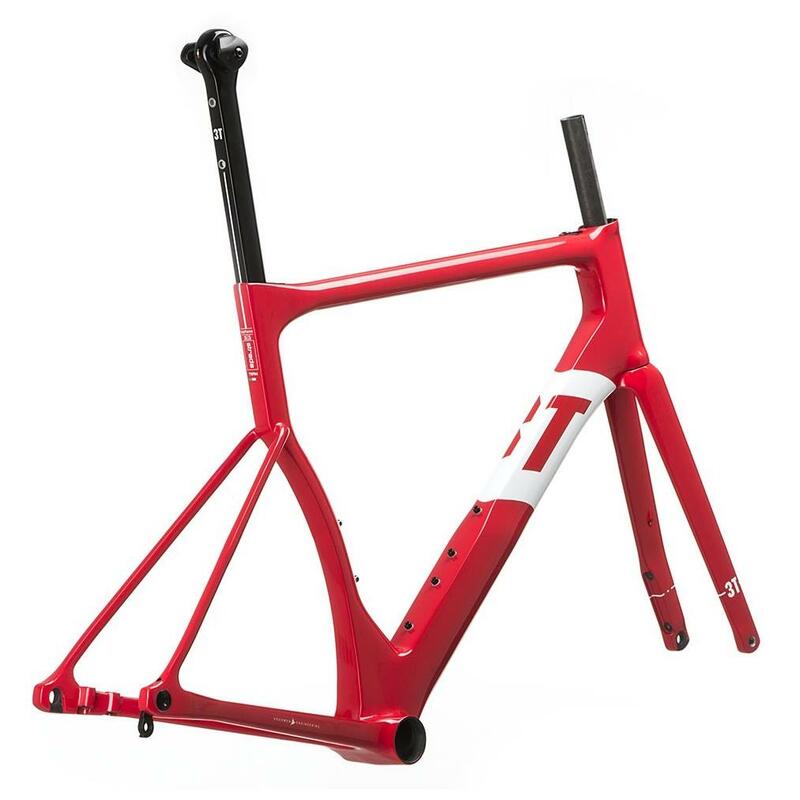 We can supply the frameset "as is", for you to build to your own requirements. But most of our customers opt to have us build the bike of their dreams. We have access to the full range of componentry from all the world's leading brands. Check out our Build Gallery for examples of previous Bespoke builds. Aero road doesn't do it justice, as it's not just extremely aero but also very comfortable. How can one bike be both? The key elements are tyre size optimisation and a paradigm shift for the drivetrain, combined with a lightbulb moment designing new aero shapes.